There’s nothing better than a simmering bowl of soup to warm you up on chilly fall nights. Try one of these hot and delightfully tasty soup recipes this season, perfect for a weeknight dinner or weekly meal prep. The delicious flavors wafting through your kitchen will have the whole family hungry in no time! This classic Italian style fagioli combines a variety of veggies – from diced carrots to celery, with beans and garlic. Fuse all the yummy flavors of fall for a meal made in just 30 minutes. 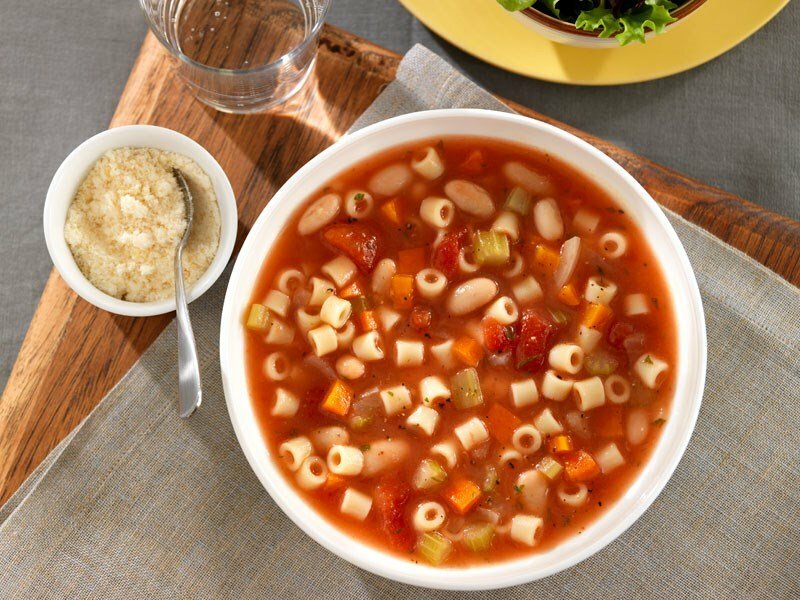 Packed with veggies and tasty herbs and spices, this minestrone soup is hearty and heavenly ! Made with our Ditalini pasta and Tomato & Basil sauce for an extra boost of flavor, this soup will be an instant family favorite. Make it on Sunday and have meals ready for the whole week! 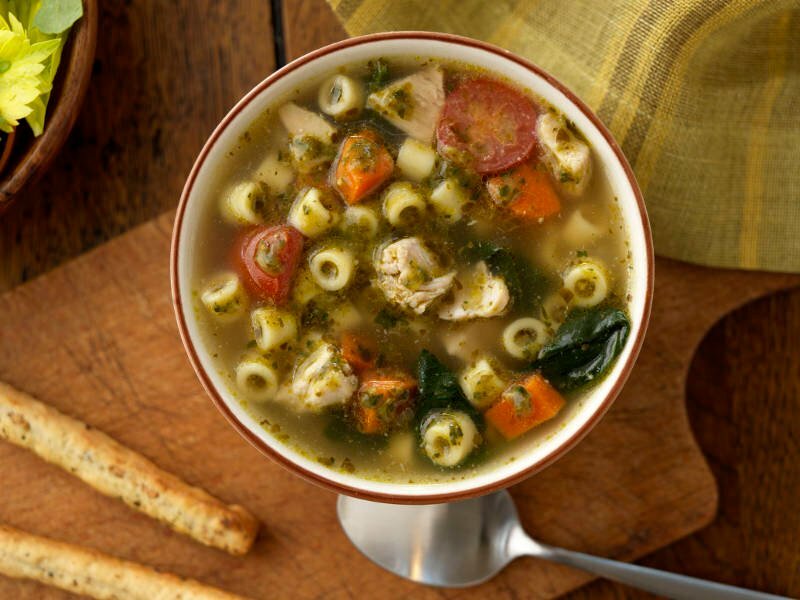 What’s better than adding our Traditional Basil Pesto to a hot, simmering soup? Try this twist on a chicken noodle soup, featuring Ditalini pasta, assorted veggies, and seasoned to perfect. Your whole family will be back for seconds (and even thirds!). With vibrant notes of thyme and garlic, this decedent chick pea spaghetti soup is sure to be a crowd-pleaser. Ideal for making in large batches, save this soup recipe for those extra chilly nights with the whole family!